Pam brought me this quilt that she had pieced and was planning on hanging on her wall. 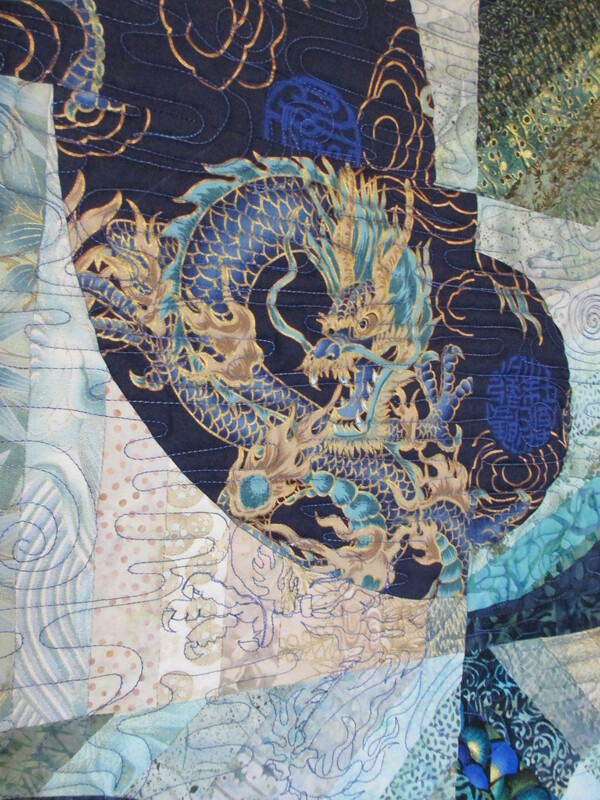 In her quilt, she fussy-cut some of the fabric so that big pieces would show the dragons from that fabric. 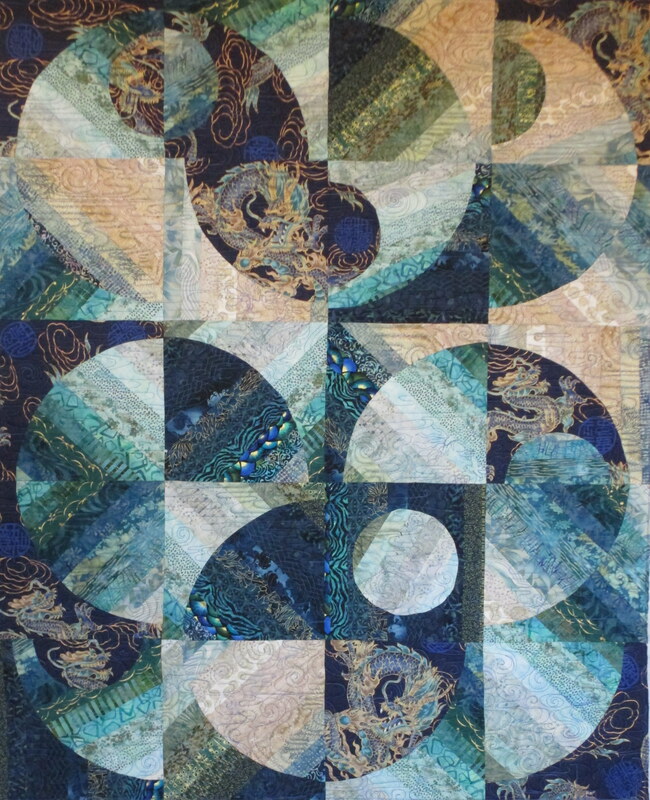 Here is a full view shot of her quilt, so you can get an idea of the difficulty of putting together this quilt; straight pieces along with curves… means she was probably working with strrreeeettttch. And, here are a couple of the dragons. I continued them into the rest of the quilt with stitching. Since these are air dragons, Pam wanted them to look like they were flying in the air. 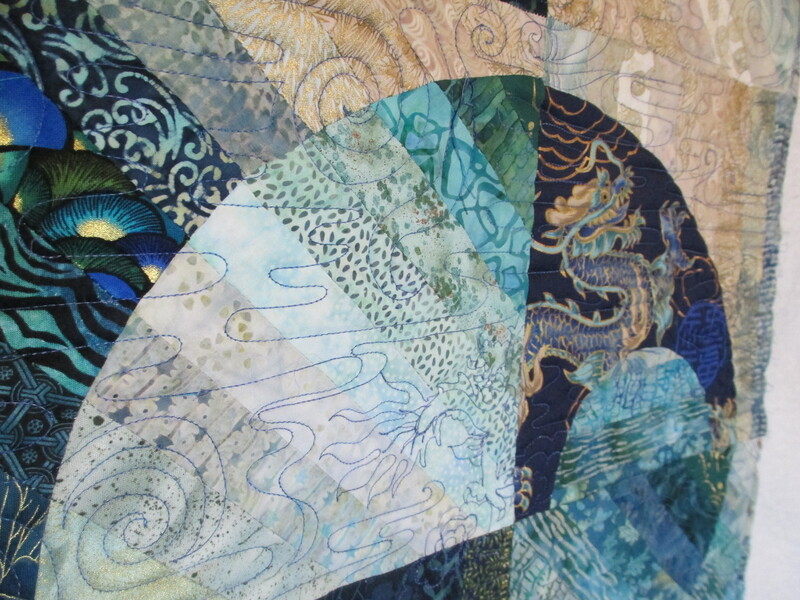 How on earth do you quilt air to look like it should belong in an Oriental quilt? Well, this is what I did. It kind of looks like water, but I added swirls to give it the look of wind. I thought Pam did an excellent job on her quilt. What do you think? 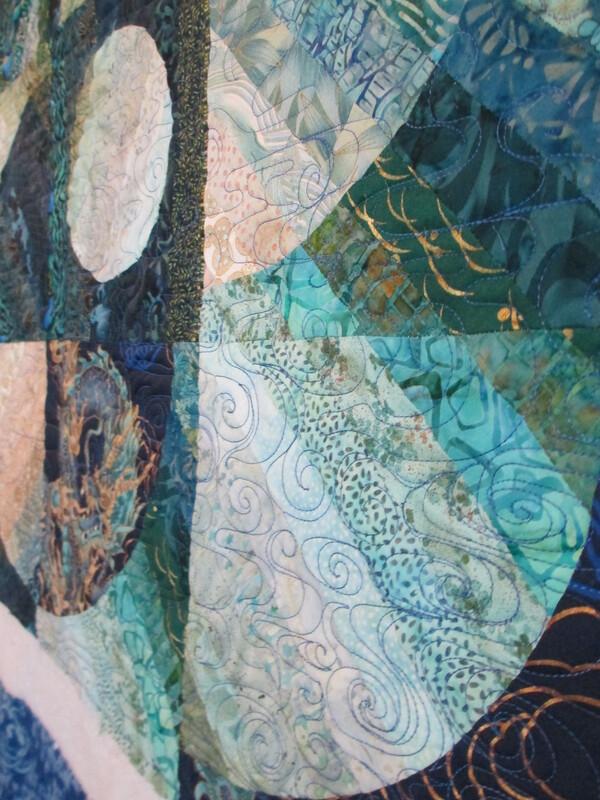 What a beautiful quilt, and beautifully quilted! I like your design idea for suggesting the air movement. I found your blog as you were featured by Trichia Price in her book “Accentuate the Negative”. Your quilting on “String of Pearls” was superb as well! Oh…thank you! Trisch is a very talented quilter, so I was a little scared to quilt for her, but I think she likes it.